• Dismal UK macro data prompts some fresh selling around the British Pound. • Upside remains capped amid fears of an economic slowdown in the Euro-zone. 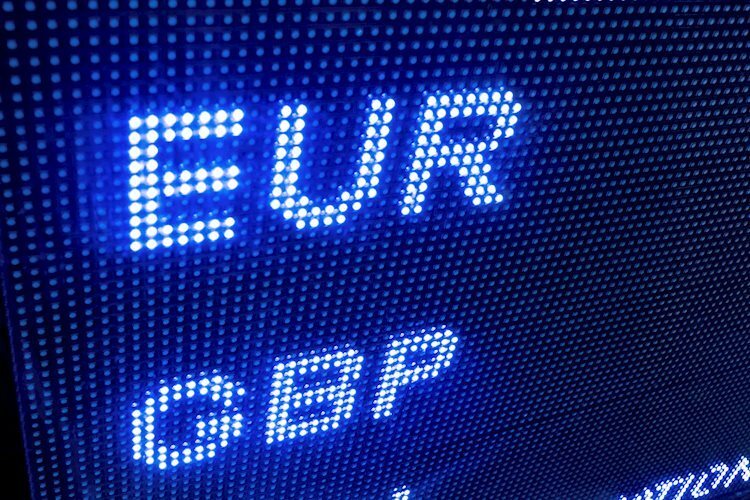 The EUR/GBP cross held on to its mildly positive tone through the early European session and refreshed session tops, around the 0.8770-75 region post-UK macro releases. The British Pound remained on the back-foot, rather lost some ground after data released this Monday showed that the UK economy contracted 0.4% m/m in December, with the quarterly growth rate slowing to 0.2% during the fourth quarter of 2018 and yearly rate also falling more than expected to 1.3%. Adding to the disappointment, a sharp deceleration in the UK industrial and manufacturing production data, coupled with slightly higher than expected UK trade deficit figures further dented the already weaker sentiment surrounding the British Pound and provided a minor lift in the last hour. The uptick, however, lacked any strong follow-through amid lack of any strong buying around the shared currency, which continues to be weighed down by growing concerns about the health of the Euro-zone's economic growth, especially after the European Commission lowered its growth forecasts last Thursday. Hence, it would be prudent to wait for a strong follow-through buying before traders start positioning for any further appreciating move amid uncertainty surrounding Britain's exit from the European Union. When is the German IFO survey and how it could affect EUR/USD?